This is a one of a kind offering, an estate with 3,708 SQ FOOT in the main house and a Full 1440 SQ FT detached Guest House, Gym, Game Room, Boat Dock with Gazebo, Sea Wall, and picturesque pool overlooking Lake Hall PLUS it includes the best lot left on Lake Hall with wide and expansive views. This is a one of a kind offering; a PRIVATE GATED, premier luxury IN-TOWN estate on LAKE HALL. 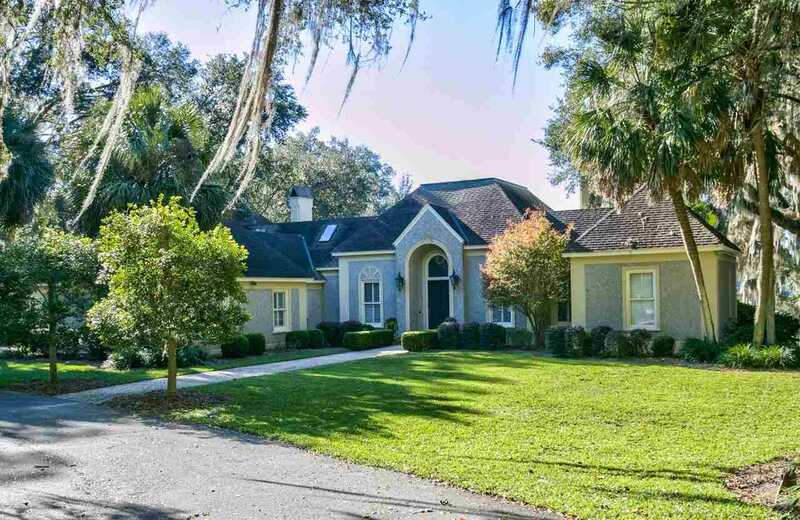 This home comes with a LIFESTYLE of fishing, boating, water sports and tremendous sunsets (and fireworks) over MACLAY GARDENS. The main house is 3,808 sf with a detached 1440 sf GUEST HOUSE, including a Gym and Game Room. There is a 1600 sf PAVILION with a tremendous fireplace, an OUTDOOR KITCHEN, two baths, and a picturesque swimming POOL. Enjoy the breathtaking, ever-changing views over an expansive lawn, graced by majestic Centennial Oaks. Dock a Party Barge or a Ski Boat on your DOCK or launch a kayak and catch a 10 lb Bass off of the SEAWALL. PLUS, apart of this estate includes the neighboring additional acreage, the last remaining LOT on the long portion of Lake Hall. Road Frontage: Maint - Gvt. SchoolsClick map icons below to view information for schools near 4442 Thomasville Road Tallahassee, FL 32309.